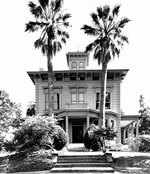 Sunday Drive: Destination Healdsburg, California. Although I hardly hew to a set agenda when I travel, I did have a destination in my mind, Healdsburg, Calif., Russian River country on the Redwood Highway (101), about 65 miles of San Francisco. Instead of taking the scenic or logical route out of Los Angeles, I humped it up the I-5, cut over the 580, slashed up the 680 and decided to call it a day in Walnut Creek at the Marriott, which seemed like a good jumping off point to reach Healdsburg, the following morning. Approaching Healdsburg from the East Bay offered up some nice surprises. The first was Livermore, which I’ll have to save for another journey, but in my hotel room that night I learned that the city that I thought was little more than a junction and a few rolling cow pastures actually is home to some 40 wineries. Heading west off the 580, exit Vasco Rd, head south until you hit Telsa Rd., and you are in the heart of one of the richest agricultural vintage areas (AVA) in the United States. In a rush to get to Napa, Sonoma or the Russian River Valley, I’ve blown by this place many times, but I won’t on my next Nor-Cal foray. Once you get off the freeway, you see wineries clustered like grapes: Garre, Cedar Mountain, Wente and Tamas, Steven Kent & La Rochelle, The Singing Winemaker, Crooked Wine & Stony Ridge, Occasio and Nottingham. The list is very sobering. 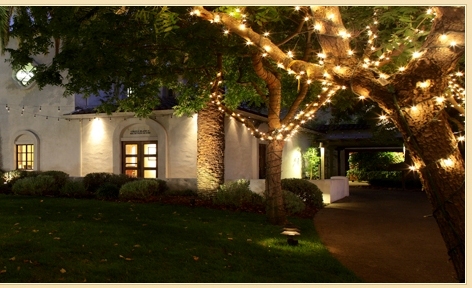 Wente Vineyards, founded in 1883, is California’s oldest continuously family owned and operated winery. It offers free wine tours and a tranquil picnic area. Of course, I didn’t stop at any of the above destinations, but part of traveling is finding where to go for your next journey. In Danville, which is less than 10 miles from Livermore, I dropped in at Bridges restaurant and bar, not because of its happy hour (well drinks for $3.50 and appetizers for $5), but because it’s where the famous restaurant scene from “Mrs. Doubtfire” was filmed — the Robin Williams, Sally Field, Pierce Brosnan comedy about an actor who disguises himself as a housekeeper to gain secret time with his children held in custody by his ex-wife. The happy hour lasted from 5 p.m. to closing hour, but I felt fortunate to secure a seat on the patio, because it quickly filled up after my first appetizer arrived. If only Sally Field, the Flying Nun, would have flown by, I would have had the perfect day. The Walnut Creek Marriott, which I Pricelined for $60, was nothing remarkable. I hated its cramped underground parking garage, whose sharp turns and lack of flow immediately put me in a bad mood. My bed was comfortable, however, and I soon forgot my parking woes. The next morning I took a quick spin through town, a blend of old and new. I was intrigued by a place called the Breads of India, which offers more than 170 varieties of bread and 700 regional dishes from India, using fresh, seasonal ingredients. It didn’t open until 11:30 a.m., however, so I jumped back in the car and headed to Lafayette about 10 minutes away. 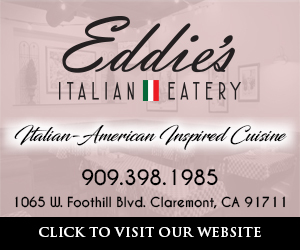 The previous night when I was reading up on Livermore’s wine country, I also had stumbled on a review of Lafayette’s Postino restaurant, quickly sizing it up as a place to try. The restaurant is housed in a converted post office, whose brick exterior is covered with a creeping fig vine giving the place an inviting old world charm. Inside, the slate-tiled floors, fireplaces and baking ovens added to the romance. I sat in the garden and enjoyed the pizza of the day and a spinach salad. My waitress was friendly and delightful, and I could have passed several more hours there had I not been on a mission to Healdsburg. From Lafayette, I got back on the 680 and traveled north. You cross the bay at Martinez, which is where John Muir, inventor, botanist, glaciologist, writer, fruit ranch owner and co-founder of the Sierra Club, worked, lived and wrote for the last 24 years of his life. His home is now a national historic site. The visitor center is currently under renovation, but you can still visit the house and the grounds. From the 680, I wound northwest on the 780 to Interstate 80, where I traveled north to the 37, and then headed west to the 101. I was tempted to drive through Napa and approach Healdsburg by driving through the heart of wine country, but I caught a glimpse of the congestion on the 12 and thought better of it. On a warm, balmy day after a hard winter of rain and storms, everyone seemed to be headed to Napa. I didn’t want to be one of them. The drive along the 37, where the bay is lapping at the highway, was pleasant enough. Finally headed north on the 101, I encountered some highway construction, narrowing the mighty redwood highway at times to a single lane, but knowing I was close to Healdsburg, eased my nerves. Passing through Santa Rosa, I thought about stopping at the Charles M. Schulz Museum (2301 Hardies Lane, Santa Rose), but I wouldn’t have had enough time to pay homage to the creator of the Peanuts comic strip. After arriving in Healdsburg, I grabbed a roast beef and blue sandwich, chocolate chip cookie, some Asiago cheese and a soft drink from the Oakville Grocery, which has been supplying travelers delicious things to eat since it first opened in 1881. It’s just off the square at 124 Mattheson Street. While waiting for my sandwich to be prepared, I hungrily eyed the shelves lined with local olive oils, vinegars, mustards, marinades and handmade preserves. Finally, with sandwich in hand, I found a table on the patio, looking out on the tree-lined streets that border the square. Many people come to Healdsburg to sample wines, float down the Russian River, go antiquing or to bicycle the back roads, but I came to Healdsburg to visit the Longboard winery, just outside the downtown hub. I had sampled its Russian River syrah at The Corner Butcher Shop in La Verne, and have been in love with the lusty wine ever since. 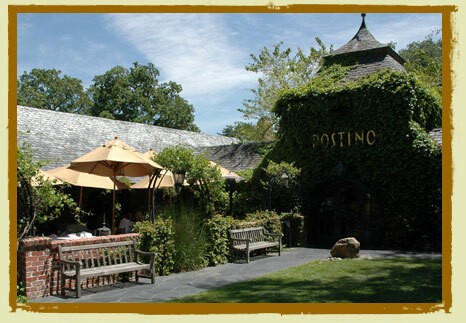 When I heard it was bottled in lovely Healdsburg, that was all the excuse I needed to launch my pilgrimage. The owner is Oded Shakked, an Israeli who grew up a hundred yards from the beach just north of Tel Aviv. He studied winemaking at UC Davis and worked the wine harvests in Napa, and now he owns a little piece of paradise in Healdsburg. 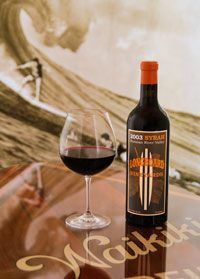 For a $5 tasting fee, I enjoyed the privilege of sampling the vineyard’s chardonnays, pinots, and cabernets, but it was the 2007 vintage Syrah – with its earthy, full-bodied flavor and hints of licorice and blackberry — that I found most delightful. I would have imbibed more and would have stopped at many more wineries in the Russian River, Dry Creek and Alexander Valleys, but there was that drive back home to LA-LA land, also known as Los Angeles. On the way back, I went south on the 101, over the Golden Gate Bridge ($6 toll), traveled along the 1 until it connected with the 280, which I took to San Jose and reconnected with the 101. From Gilroy, I headed over the Pacheco Pass (152), with a brief stop at Casa de Fruta, a dusty little fruit stand that has been Disneyfied over the last 30 years. The prices for its candy and peanut nibbles are double per pound what you would pay at Sprouts in Claremont, but as the fruit, wine, restaurant and amusement park emporia (with bathrooms) was the only game in town, I loaded up for the long drive back. When I pulled back into my driveway at about 1 a.m., I was amazed at just how much of the world you can see in about 36 hours on a long Sunday drive. A long crazy drive perhaps, but sometimes just seeing the freeway signs – Napa, Santa Rosa, Healdsburg, Golden Gate Park, Russian River, Bodega Bay, Sausalito and learning about new places to stay – are just the refreshing signposts I need to carry on back here in the humble little hamlet of La Verne.